Download the 2016 ICPLA Confierence programme [1.91 mb - PDF]. 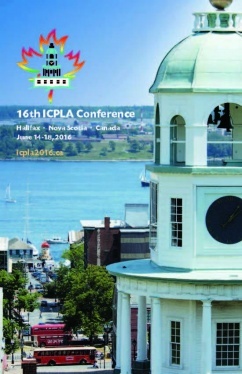 It is our great pleasure to welcome you to the 16th International Clinical Phonetics and Linguistics Association (ICPLA) Conference in Halifax, Canada, June 15-18, 2016. Basic and clinical scientists in the field of language, speech and communication will join us on Canada’s scenic East Coast for four days of plenary lectures, panels, and scientific presentations. In addition to clinical phonetics and linguistics (phonology, semantics, grammar, pragmatics), conference topics will include voice, prosody, resonance, stuttering, reading & writing, AAC, sign language, multilingualism, psycho- and neurolinguistics, language revitalization, and speech science and technology. Assessment and treatment methodologies in speech-language pathology and audiology will also be included. The ICPLA 2016 is held at Dalhousie University in downtown Halifax, Nova Scotia. Here you can satisfy your taste for adventure, entertainment, and cuisine. Enjoy exploring the historic downtown or take in the iconic coastline of Nova Scotia—from the natural beauty of Peggy's Cove, to the pristine beaches of the Eastern Shore, to breathtaking highlands of Cape Breton Island. If you would like to receive updates on the conference, send a message with the subject “Subscribe” to subscribe@icpla2016.ca. 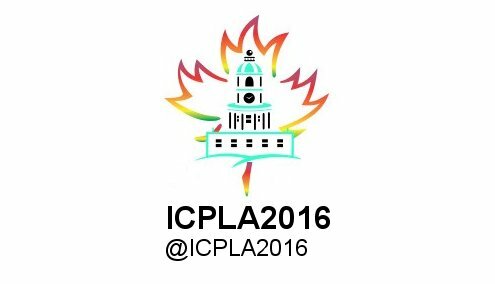 If you have any questions about the conference, send a message to info@icpla2016.ca.